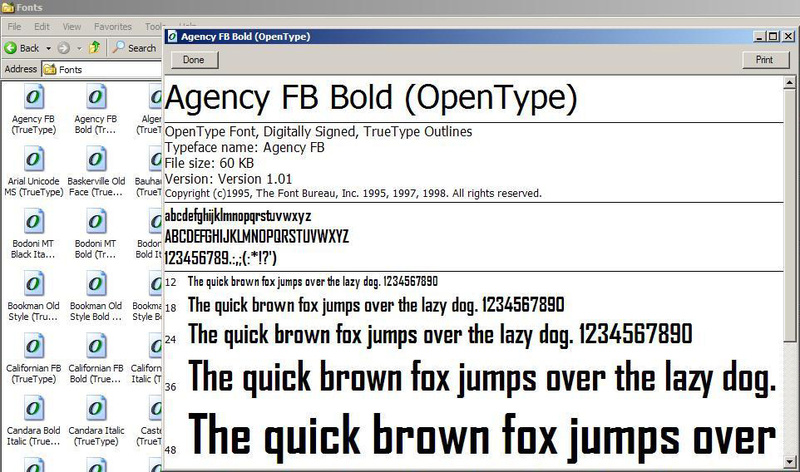 Removing unused fonts from your computer can speed up system reboots and help keep Windows running smoothly. But you don’t want to remove the fonts that Windows and your application programs need. Here is how to remove fonts safely. A list of all default fonts installed with a new Windows installation is here: iStat Menus. You can safely remove any that are not on the do-not-remove list above. If you ever want to restore some of these fonts, they are on your Windows installation CD or System Restore hard disk folder. To remove a font, click Start > Control Panel > Fonts and double-click on a font name or icon. Up will pop a window with samples of the font and a description of it. It’s a good idea to make a copy of the font and paste that into another folder in case you want to re-install the font later. Right-click on the font name or icon and select Copy, then switch to the backup folder and paste. Click File (upper-left corner of screen) and select Delete to remove the font. 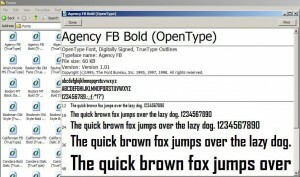 If you are hesitant to remove fonts, I recommend the freeware Font Frenzy because it is safe. Font Frenzy creates restore points before you start adding and removing fonts, so you can always roll your font collection back to where it started. The DeFrenzy button in one click removes all fonts except those that were present when Windows was first installed.